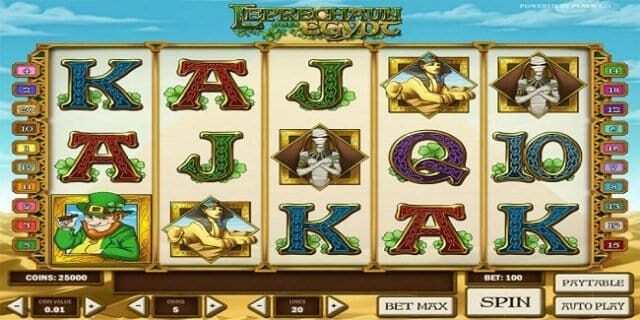 Leprechaun Goes Egypt is a video slot game powered by Play’n GO software platform. 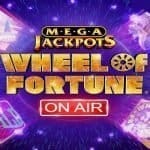 This is 5 reels and 20 paylines slot game which offers a jackpot of 3000 times of your total bet. Return of the player percentage (RTP) for the game is 97%. 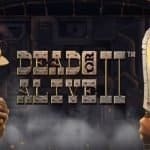 The game is very entertaining and it features Irish culture and Ancient Egypt. There are wild card symbol and scatter symbols available in this game and they are Leprechaun and Cleopatra, respectively. 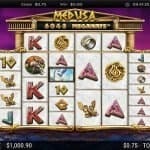 You can play the game for free or with the use of real money at any of these Play’n GO casinos. There are eighth options/ buttons available in this game, which are being used for different purposes. Like “Coin Value” is used to Select the coin size, “Lines” is used to adjust the number of active paylines and “Coins” are used to choose the number of coins to wager. ‘Bet Max’ is used to Select the highest wager, “Spin” is used to start playing the game and “Auto Play” option here is used to Play the game automatically for a number of times uninterrupted. 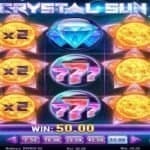 Another option available in this slot game known as “Gamble” which is used to Enter the game round to increase winnings, and ultimately ‘Collect” button shows to save the won sum. You can choose coins per line which ranges from 1 to 5 and coins size ranges from 0.01 to 1. When 3 or more Irish Maiden symbols appears on any active reel then free spin feature will be activated, whereas 3 Pyramid symbols will activate bonus game, which can provide you up to x500 of your total bet. Just beware of Mummy which searing for Cleopatra.